2 years & up. 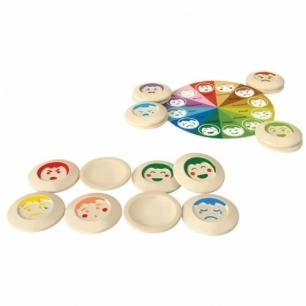 This set of 24 wooden tiles represents 12 different emotions that children can learn to identify and recognize. Additional learning takes place when children match the emotions with the emotions on the board.